Who is a WEEE Producer? 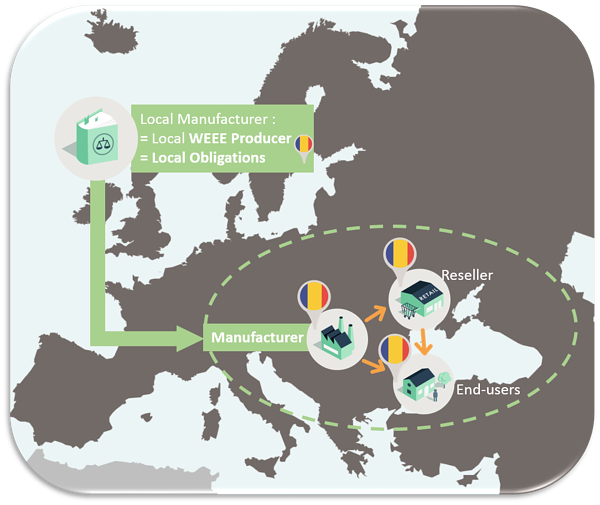 According to the WEEE directive, a WEEE producer is a business entity in a member state that has a specific status according to the way it is constituted and its business relationship with suppliers and clients in this member state. How do we determine which entity is the WEEE Producer? N.B. The term “established” as used in this article means a business that has been registered locally. Companies established in Country A, manufacturing printing equipment in Country A and selling them in Country A. Companies established in Country B, importing air conditioning systems from a country and selling products for the first time in Country B. As an exception to 1), Company Y is established in Country C and re-selling home automation products in Country C from Manufacturer X also located in Country C; the product manufactured by X is branded under the name of Y. Y sells the product in Country C.
Example: a French reseller purchases cameras, electronic thermostats and sensors from a French manufacturer or provider. 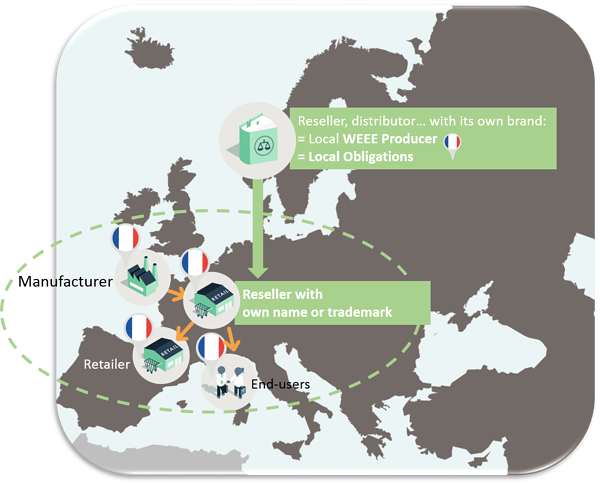 The products are branded under the re-seller’s name or trademark therefore it is the re-seller’s and the not the manufacturer’s obligation to ensure compliance for the product in France. 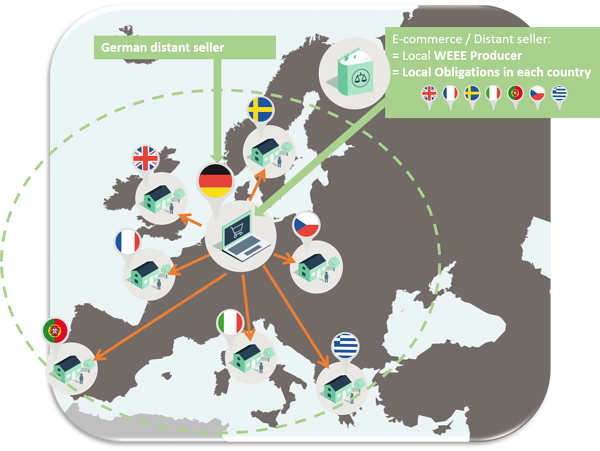 Distance seller established in Country D sells IT and telecommunications equipment directly to end users in one or several European countries. 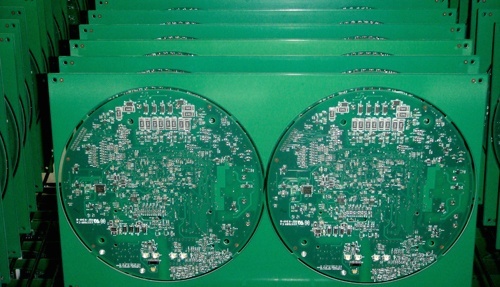 Example: An online distributor located in Germany, sells out of Germany computers, monitors, servers and routers to end users located in Czech Republic, France, Greece, Italy, Portugal and Sweden. The German online distributor must ensure compliance in Czech Republic, France, Greece, Italy, Portugal and Sweden. 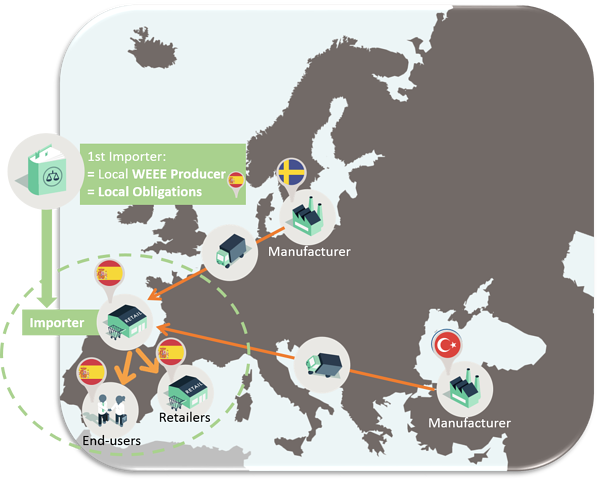 If your company owns entities that have WEEE producer status in one or more EU member states, compliance of the entities is mandatory. Willing to clarify your situation or to order a legal assessment?